Today on TV, we see so many TV shows dedicated to the stories behind tattoos. In the three years that I have been coming to the Tibetan community of Dharamsala in India, I’ve been quietly observing the tattoos of the people here. In many cases, these tattoos mark the skin of former political prisoners. 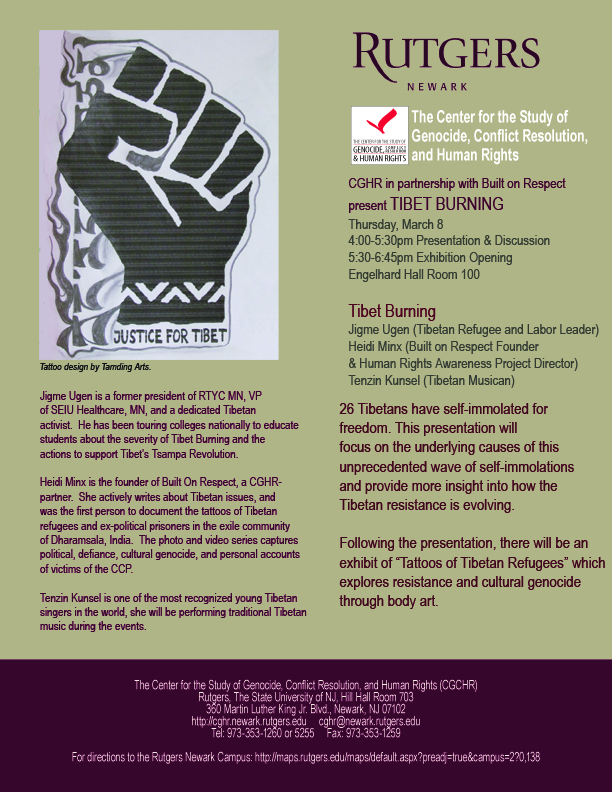 In other cases, they amplify the desires of those Tibetans born in exile to return to their homeland. 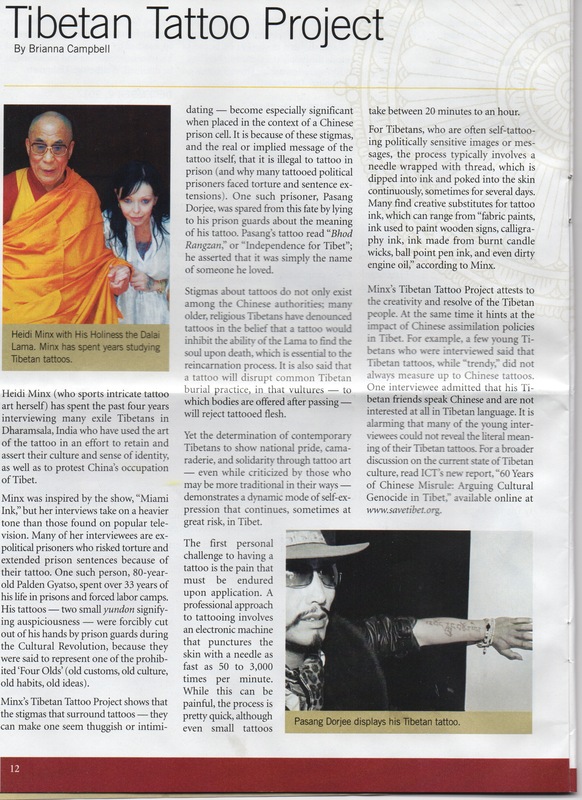 Pasang Dorjee had ‘Free Tibet’ tattooed while he was a prisoner in a Chinese forced labor camp. In this video he refers to the ‘fake Panchen Lama’. In ’95 the Chinese government abducted the Tibetan reincarnate Panchen Lama recognized by the Dalai Lama and appointed their own in hopes of controlling Tibetan Buddhism. Dorjee was arrested while protesting a ceremony to honor the fake appointee, in which the Chinese would have paid his monastery. 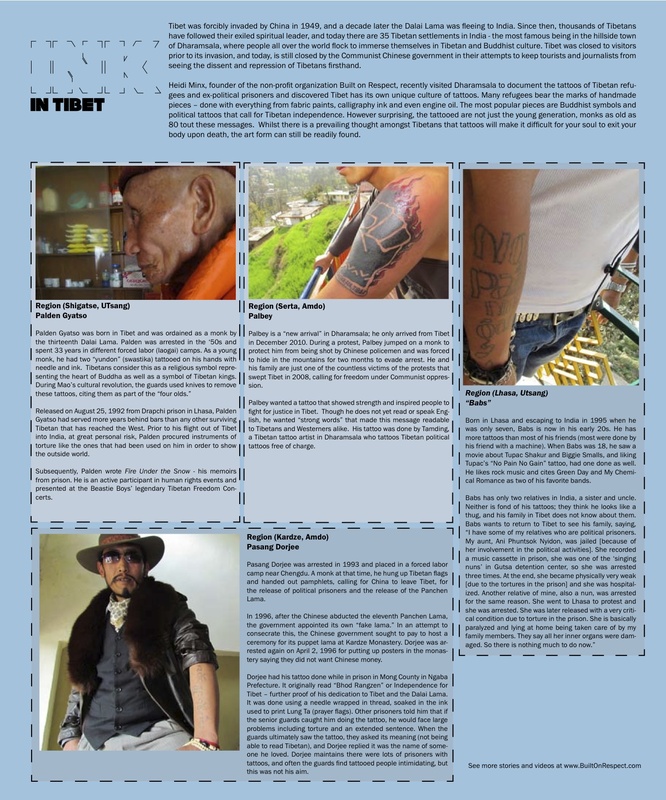 Many young Tibetans, newly arrived in India from Tibet, bear tattoos. They are a mix of the cultures that this new generation faces: Tibetan, Western, and Chinese. Here, Pasang talks about the tattoo process, and why he risked his life to flee Tibet. Lobsang voiced his cry for independence, and was arrested. After his release, he was continuously harassed by the police — so much so he had to close his business, and flee to India. Here, he talks about his tattoo, divided between three friends, in the hopes they can one day stand together. Tamding is a Tibetan tattoo artist in India. 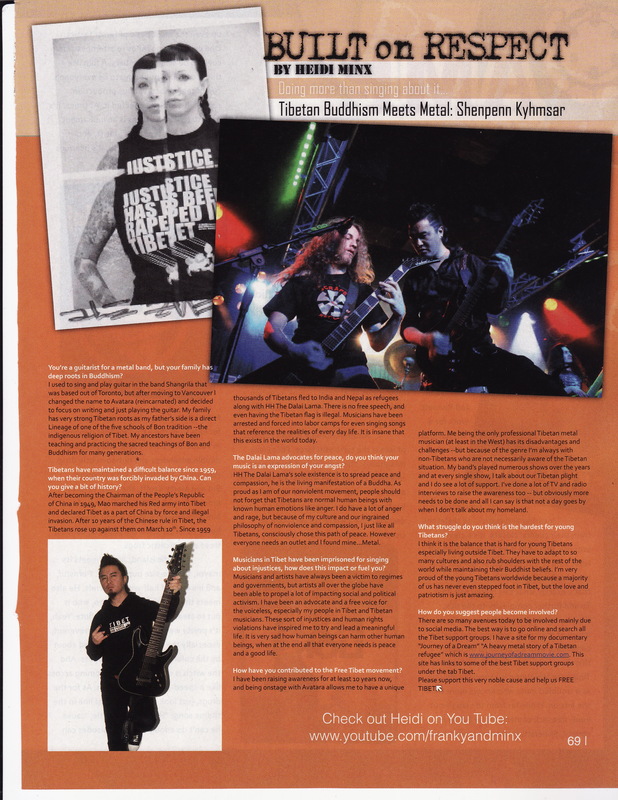 Here he talks about tattoos in Tibet, the different ways he has sen them done, his own tattoos, and his first handmade machine. Palbey is a ‘new arrival’ in Dharamsala, he only arrived from Tibet four months before this was taped. He and his family are just one of the countless victims of the protests that swept Tibet in 2008, calling for freedom under Communist oppression. He is getting this tattoo by a Tibetan artist who tattoos Tibetan political messages free of charge.